Previously we explored encoding pixels from color components. This works perfectly if our alpha value is 255, and in most cases it will be. But, what if we need transparency? When assigning colors to pixels in your bitmap, use pre-multiplied colors. The format used by the Silverlight WriteableBitmap is ARGB32 (premultiplied RGB). The format becomes relevant if you are populating the integer values in the Pixels array. The initial pixel values in the dimensioned array are 0, which will render as black if left unaltered. I want to clarify one thing. The documentation says the pixel values are set to 0 by default (which is correct) and that it will render as black if left unaltered (which is incorrect). It will render as transparent because the alpha values are also 0. Don’t believe me? Try it. Why would we ever want transparency when we are processing images? Perhaps we want to highlight a point of interest. You could leave the original image intact and just place a semi-transparent image over the top of it and let Silverlight blend them for you. Regardless of the need, here’s how you do it. If you remember the MSDN documentation referenced in the last lesson it noted that the pixel format was premultiplied ARGB32. This means that the RGB value has already been multiplied before storing the pixel. Now we are going to try to recreate the blue color above using two different techniques. The one will be straight RGB (i.e. not premultiplied) and the other will be premultiplied alpha. 1.) 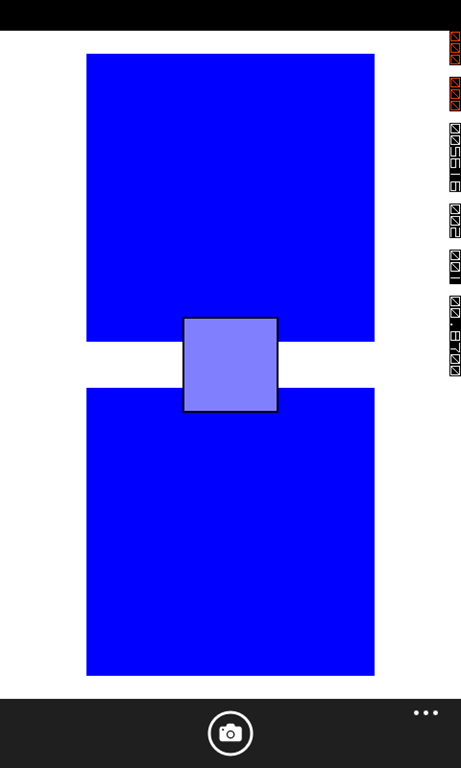 First, let’s set up a couple of blue rectangles to test. 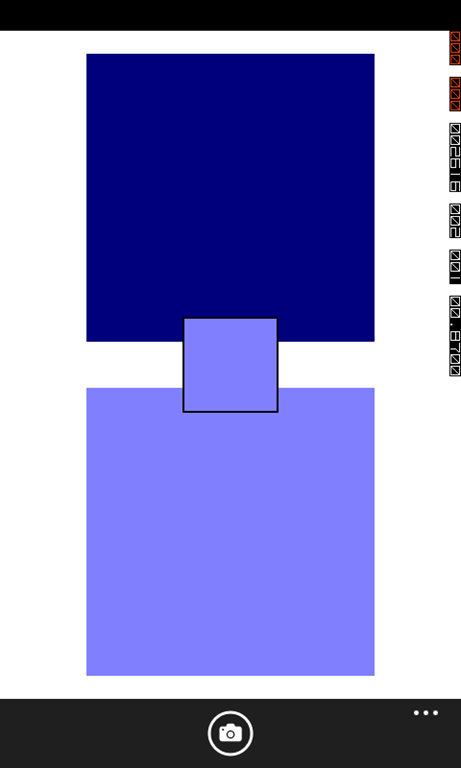 All we are doing is overlaying a blue rectangle with a semi-transparent (Opacity=.5) white rectangle. The output will be the same as above because we haven’t actually set the source for these images. Launch the program and tap the acquire button. I’ll let you guess which one is right. Premultiplied alpha is pretty straightforward, but it will cost performance in tight loops. In most cases we won’t have to worry about this because the images we typically deal with don’t have transparencies. I am very impressed with the contents of your site, I learned a lot, and I still have to go through it again and again. 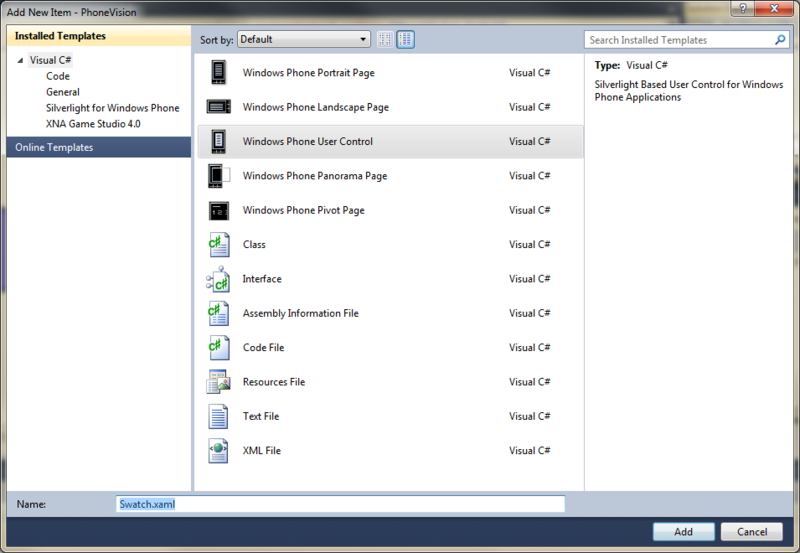 I am wondering if it’s possible to get the pixel color of an image, let’s say, click on it and get the color (Hex or RGB) from the mouse point (finger) in my case (WP7)?